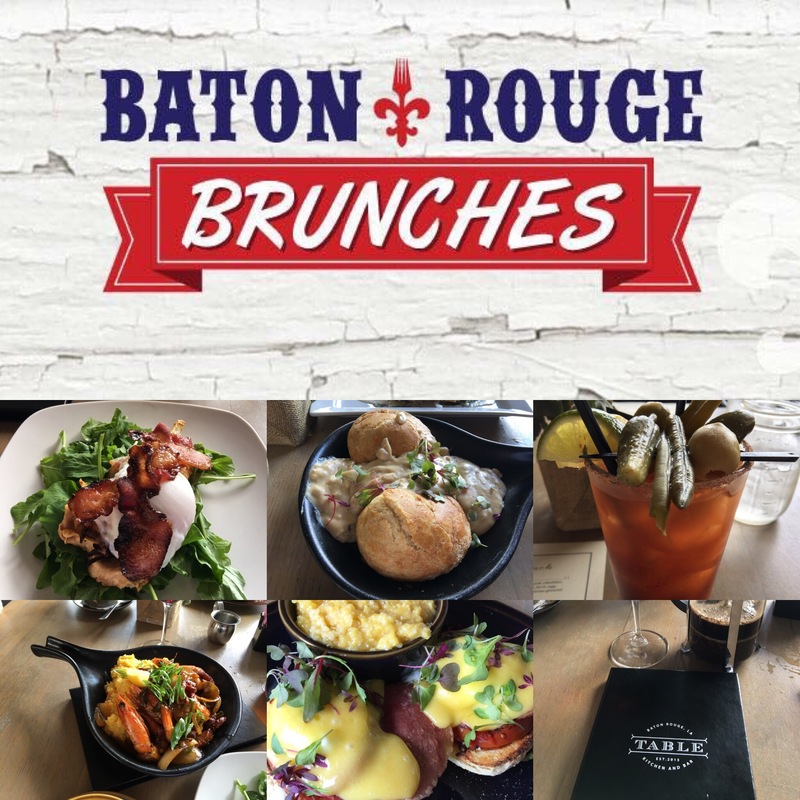 Are you ready for the best Baton Rouge Brunch event yet!? Come to the Table and have an Absolut brunch! Baton Rouge Brunches is proud to announce an Absolut Vodka and Mumm Napa Champagne Brunch at Table Kitchen and Bar on April 17, 2016 at 11am. We will post the prix fixe menu and drink specials soon. This will be a great brunch that combines the delicious tastes of Absolut Vodka and Mumm Napa Champagne with the excellent pairing of Table’s brunch menu. Farm to table never tasted so good! This will be a great meal at a great value! We will have room for plenty of Baton Rouge Brunchers on the Table patio. Should be a great event! So how will this brunch event work? Table is going to put us on their patio where we can all brunch together. We will all have a chance to meet each other, discuss the dishes and pairings, and we will also have a few special guests. We recommend coming as close to start as possible to help the kitchen out. If you want to bring people, we ask that they RSVP on the event and like Baton Rouge Brunches (of course!). If you can’t make it, then just move your RSVP to interested. We don’t require event ticket purchase prior to events so we try to help the restaurant get an idea of attendees. Lastly, share this event with others on social media. We want to get as many people as possible. We have some great Absolut Vodka and Mumm Nappa drinks and menu pairings. 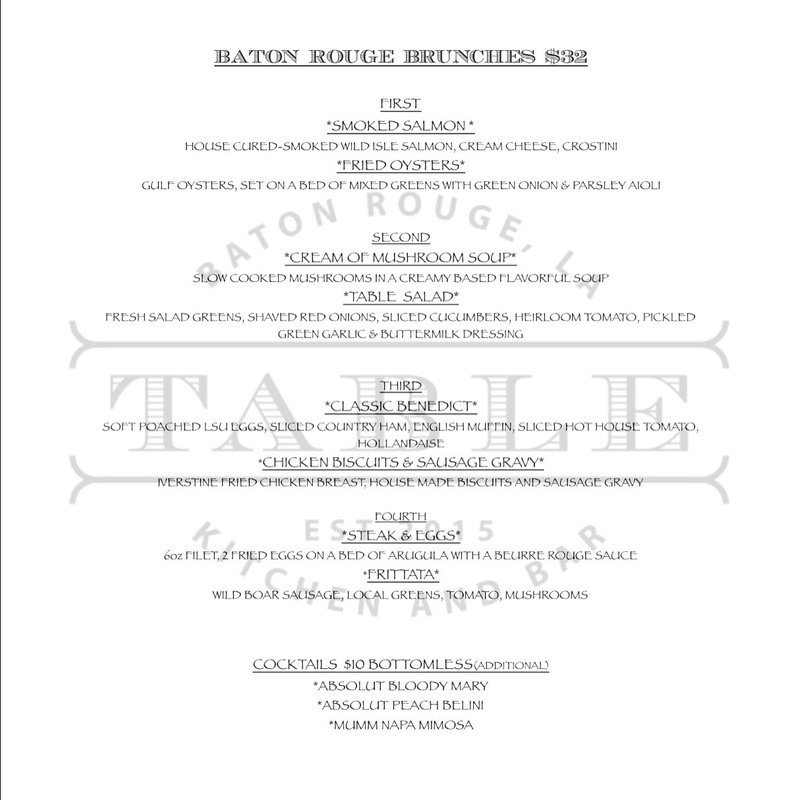 This brunch at Table Kitchen and Bar will be an outstanding Baton Rouge Brunches event!